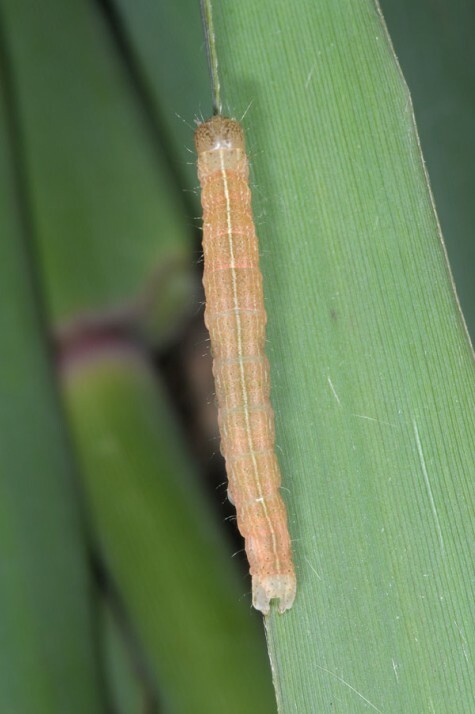 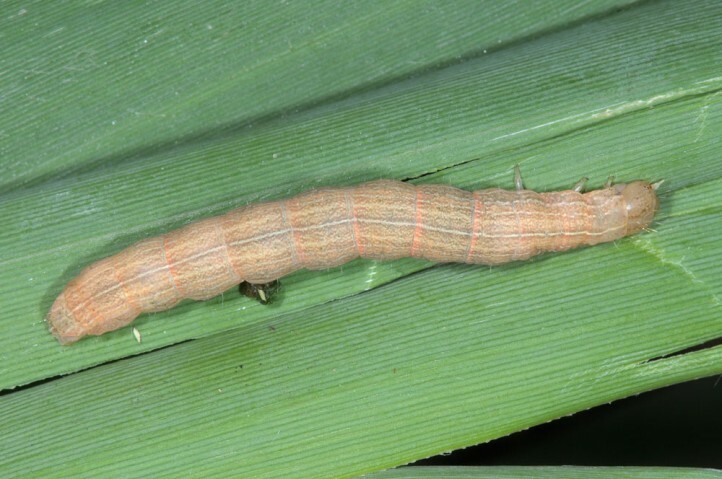 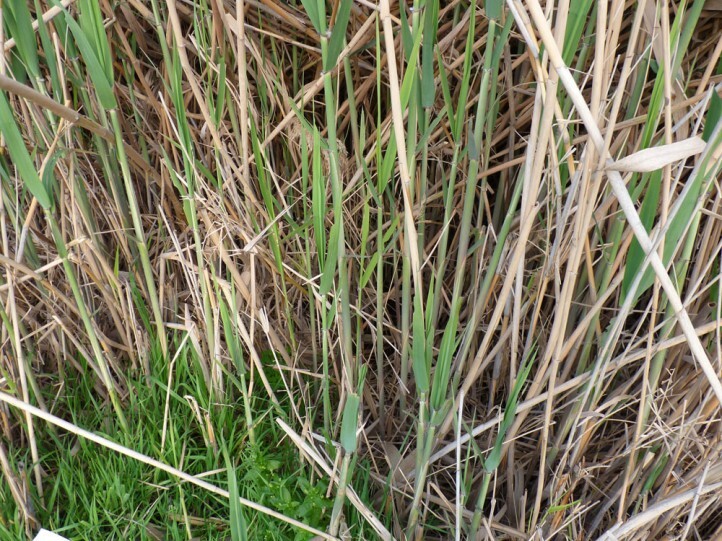 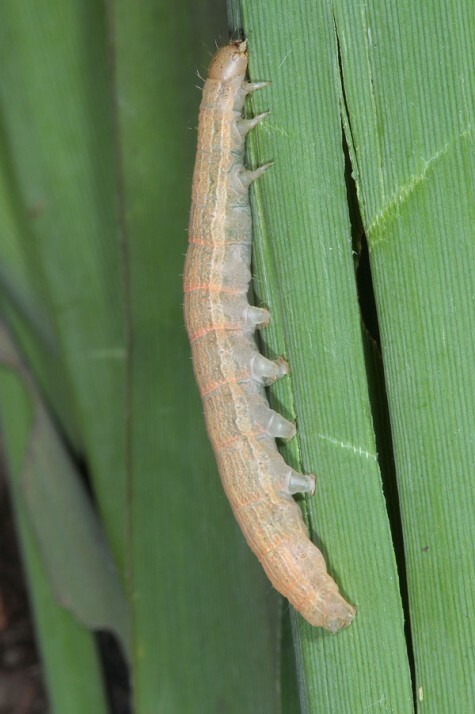 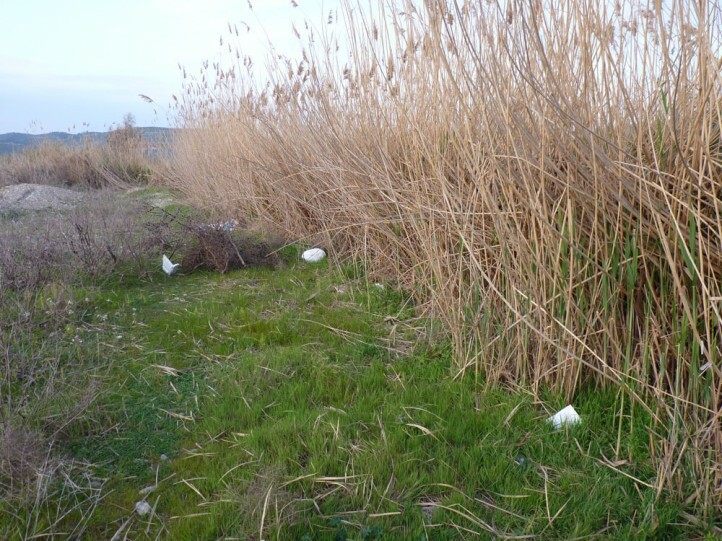 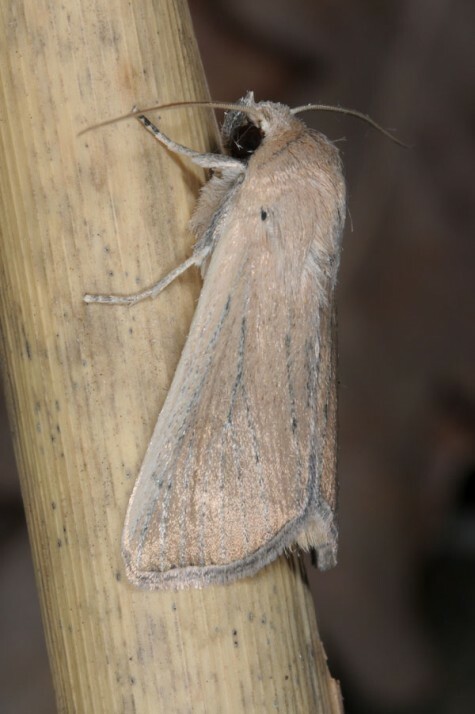 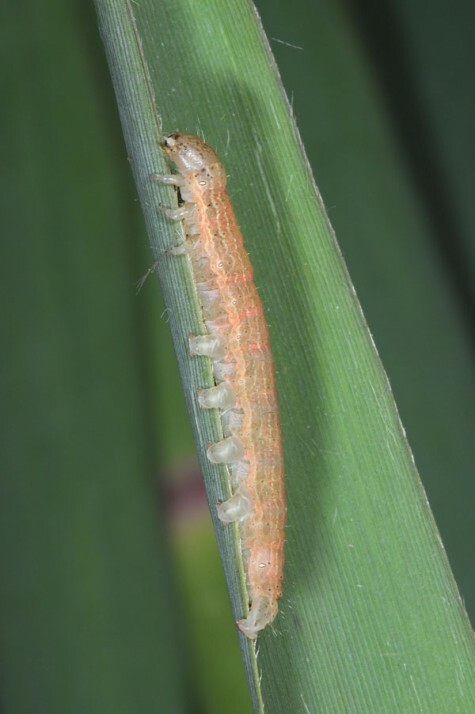 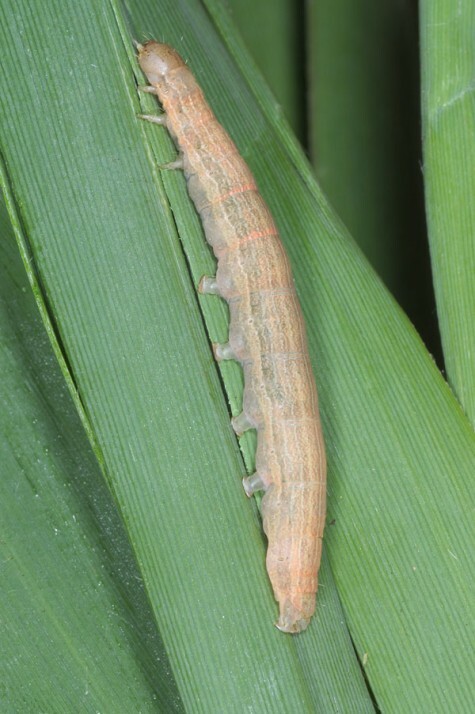 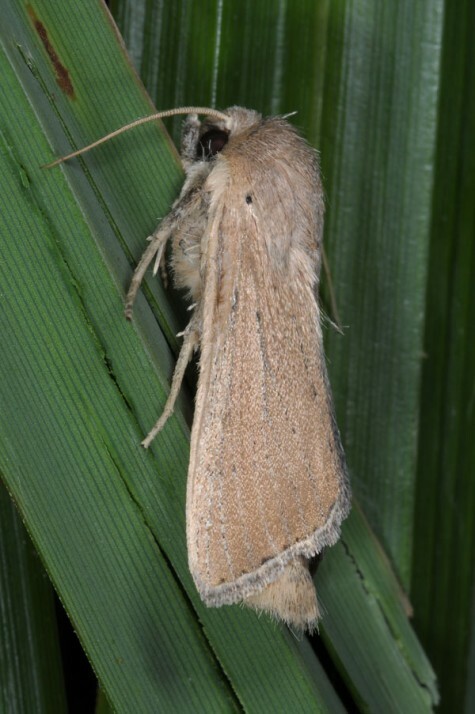 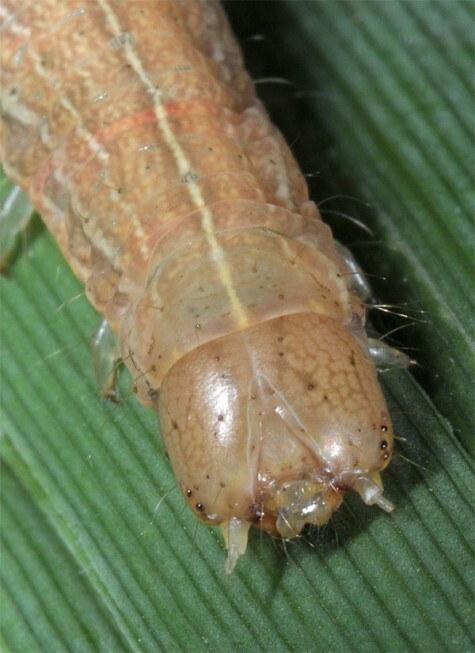 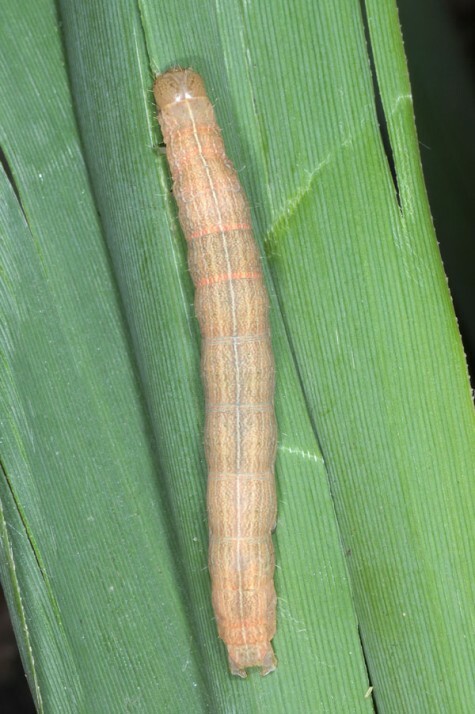 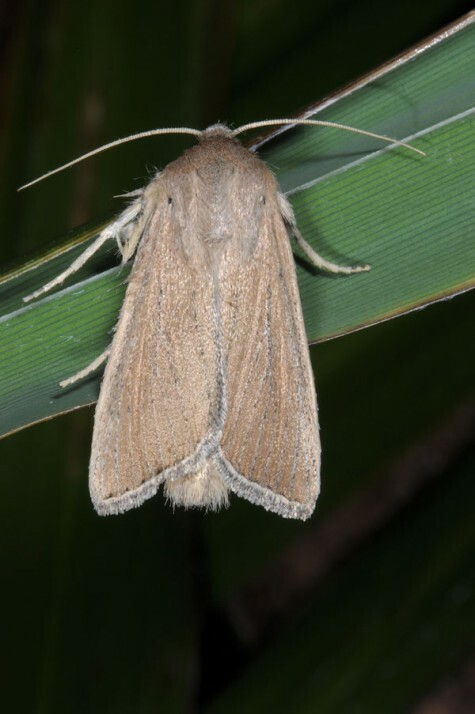 The larvae feed on reed (Phragmites and Arundo). 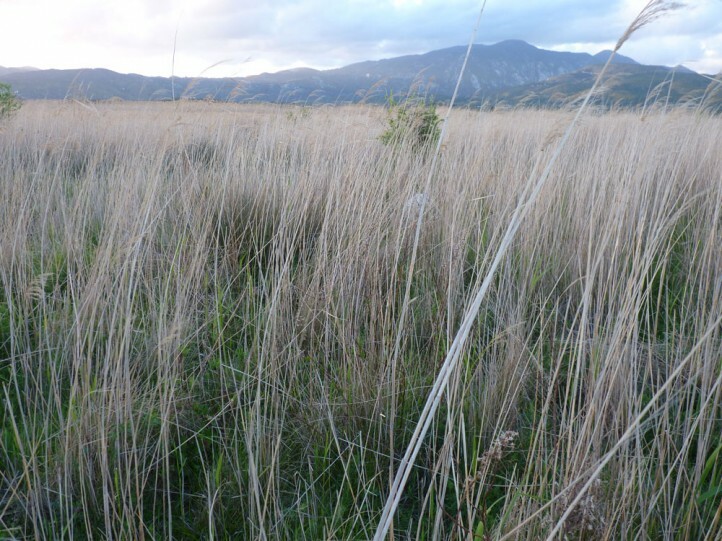 Leucania palaestinae inhabits wetlands like coastal swamps, river beds and other places with reed. 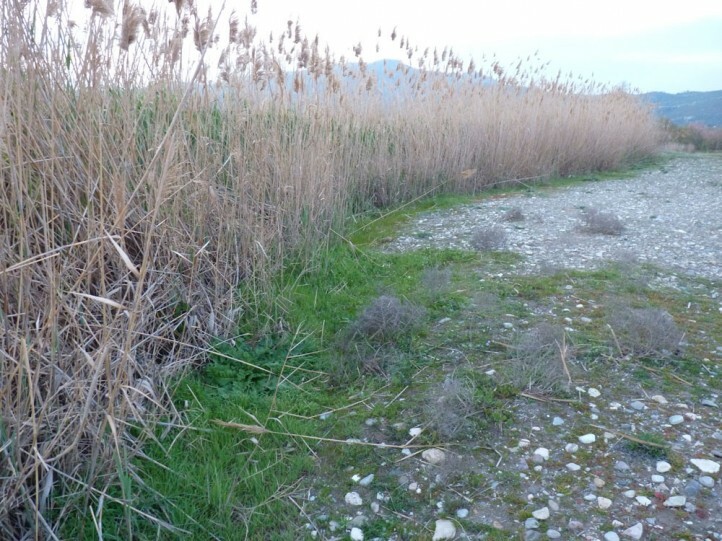 I recorded half-grown to mature larvae in Samos Island in early March 2016 (Ireon, Kokkari). 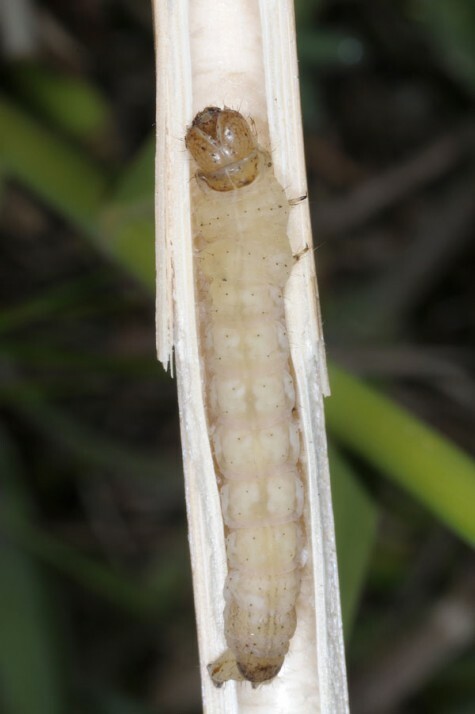 The larvae hide in old, broken reed stems during daytime. 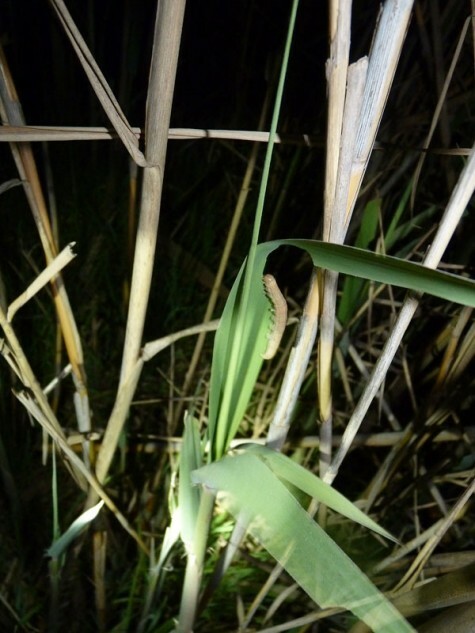 The feeding scars on young reed shoots have been very striking. 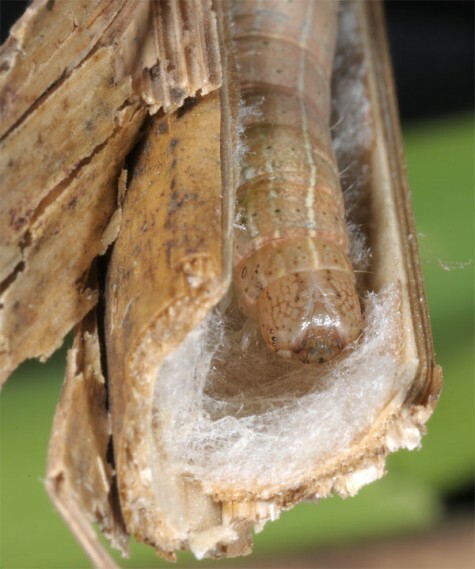 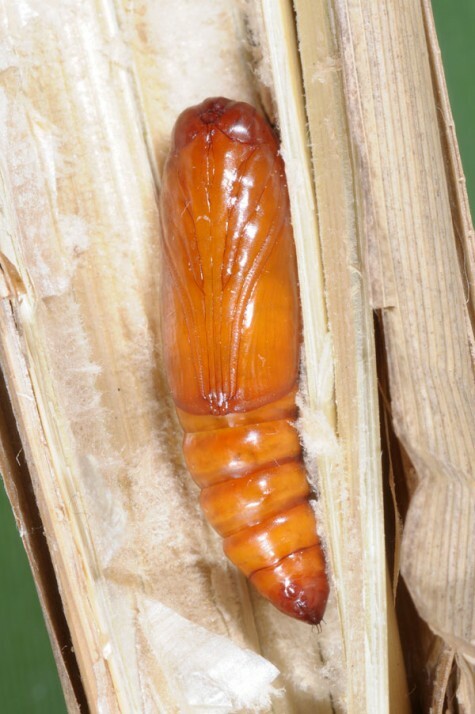 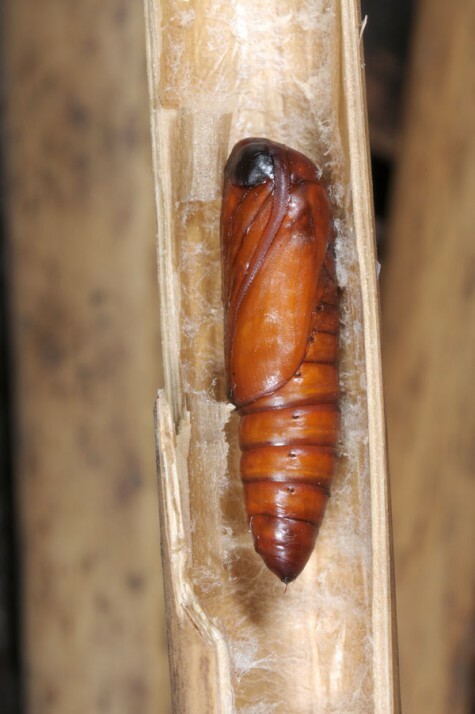 The prepupa also rests in old stems in a weak cocoon. 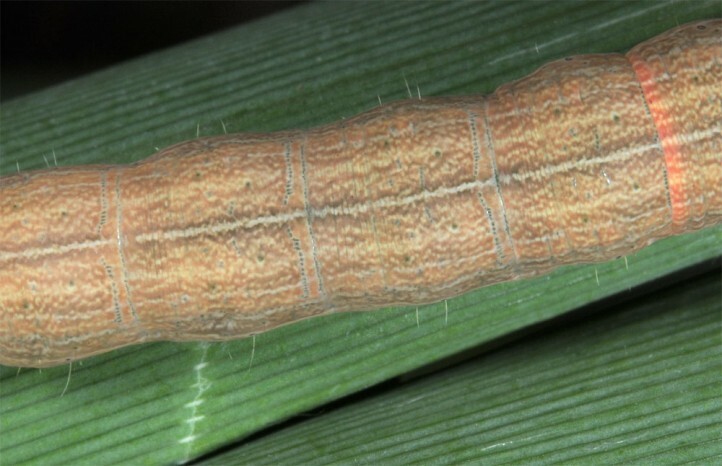 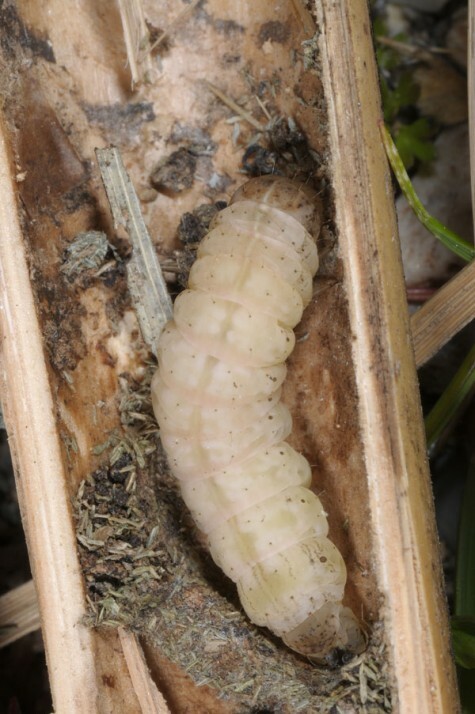 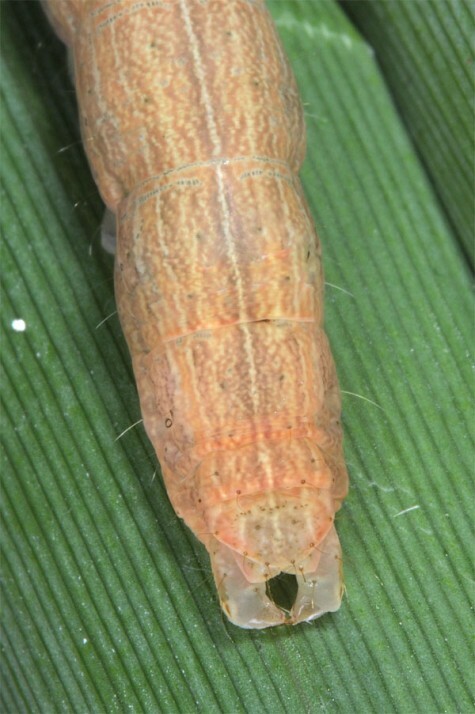 In early March first larvae started pupation. 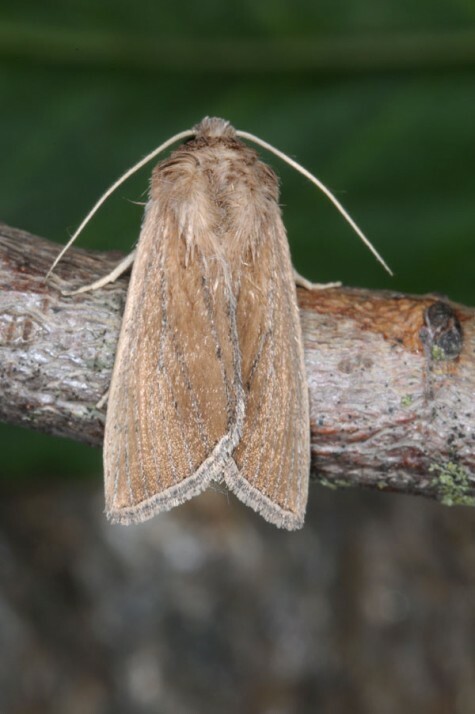 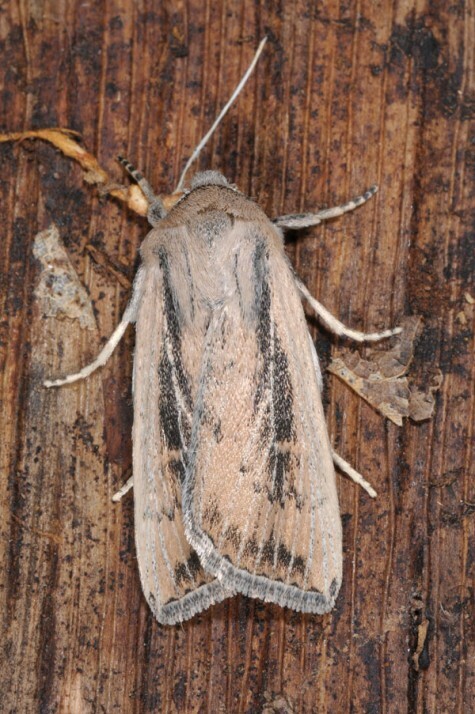 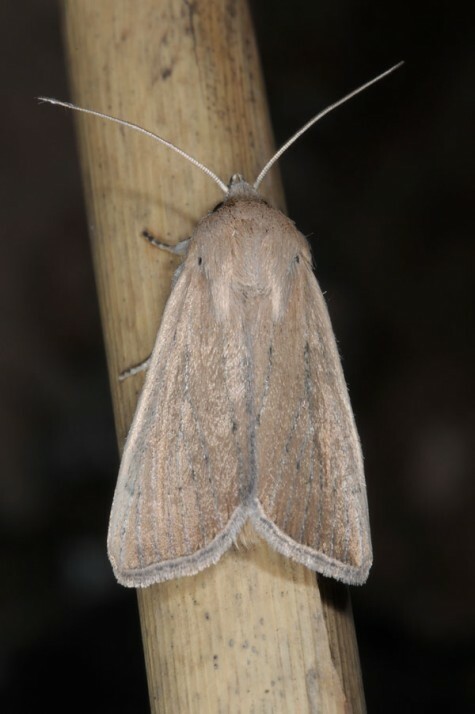 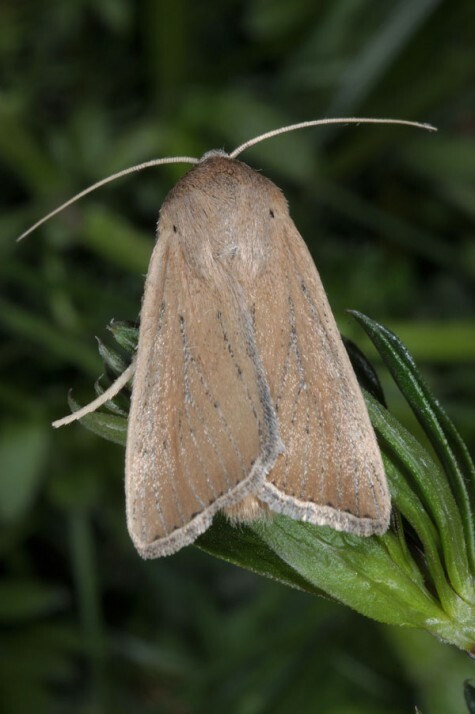 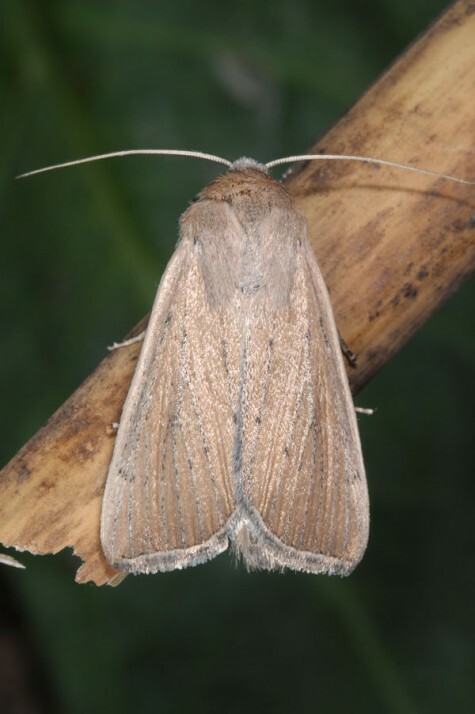 The moths occur supposedly in several generations between April and October. 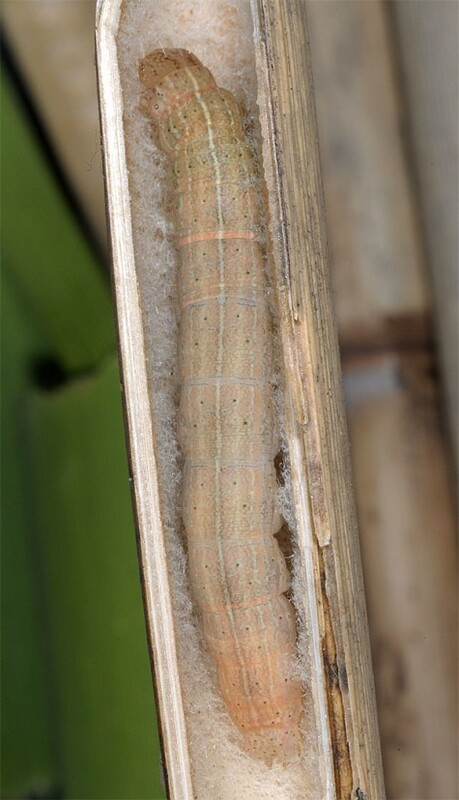 The larvae hibernate in various instars and rest as prepupa according to size in autumn for different periods prior to pupation. 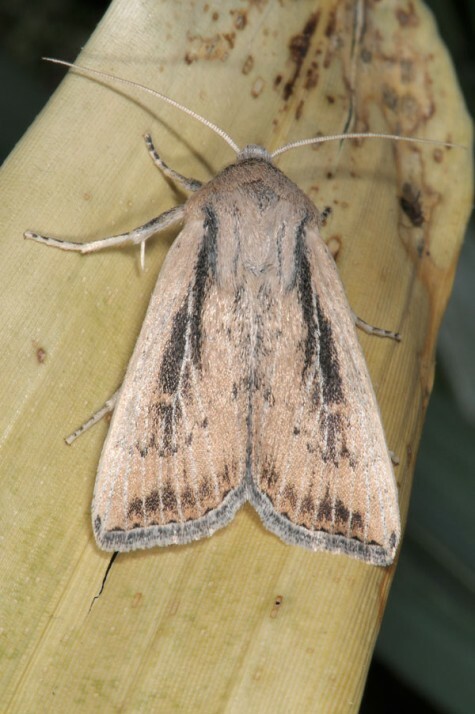 Leucania palaestinae is endangered due to the destroyment of coastal wetlands for tourism or agriculture. 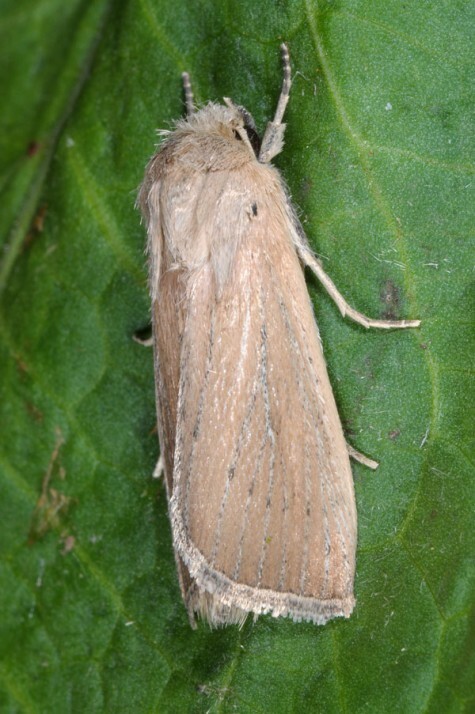 Leucania palaestinae occurs in N-Africa and SW-Asia. 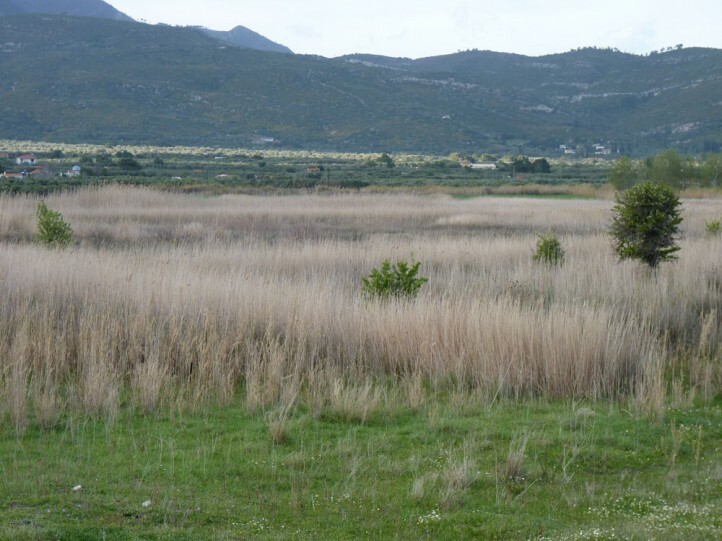 In Europe it is known from Sicily and Greece (Peloponnese and Samos Island, probably also other Greek Islands).